Not everyone needing a document to be translated will require a legal translation or a certified and notarized translation. In general, businesses and law firms know when a legal translation is required and whether it needs to be certified and notarized. However, an individual may not know and may not even know what they are. 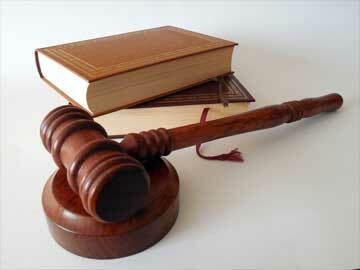 Legal translations are completed by translators who swear before a member of the court that a translation is accurate. Is a Legal Translator Qualified to Translate My Files? One way to determine the competence of a legal translator is by evaluating the law firms that use a translations agency. It makes sense that the best law firms partner with the best legal translation companies. All states have a disciplinary organization that closely watches over attorneys. When a grievance is lodged against an attorney, the organization will investigate the claim to determine if there has been any violation of its rules. If so, the organization will discipline the attorney, as appropriate. You benefit when you thoroughly research a translations agency’s reputation. You should take into account any previous discipline taken and the circumstances surrounding the discipline. 24 Hour Translation maintains an impeccable reputation. Depending on your legal issue, a professional translation agency may be required to certify or to certify and notarize your document. In some instances, a specially worded and prepared translation might also be required. Just as there is no one-size-fits-all solution to solving legal problems, choosing the right legal translation services company can make the difference between a successful outcome and a missed opportunity. Knowing which legal translation firm to hire depends on a number of factors, such as your budget, the reputation of a firm’s legal translators, your lawyer’s personal work preferences, and your specific legal challenge or need. Legal Contracts. A contract is defined as a voluntary common law agreement that is made between two or more parties and that becomes legally binding. A contract is only applicable to the parties involved. Like other laws, public or private, a contract is enforceable in a court of law. When you agree to a contract, you create a law that applies to you and the other people who contract with you. It remains the law until (1) you agree to change it, (2) all the obligations created by the contract are fulfilled, or (3) it becomes impossible to enforce for one reason or another. If you “break” the law by breaching the contract, the injured party (the one who did not breach) can secure enforcement help by going to court. If the court finds that it has jurisdiction, it will interpret the contract language and determine whether the contract has been breached. If it has, then the court will require compliance or compensation, by force if necessary. Adoption Certificate Translations. Are you considering intercountry adoption? If so, you may be required to have a number of documents legally translated. They usually include birth certificates, in-home case studies performed by case workers, adoption records and certificates, and immunization records, to name a few. Small mistakes on the certification or a poor quality translation can significantly delay the international adoption process, add costs to an already costly process and perhaps even disqualify you from adopting. Marriage License Translations. If you are planning the most important day of your life and have chosen an amazing international location or perhaps you are marrying someone from a different country, U.S. Citizenship and Immigration Services may require a broad range of documents to be translated, including marriage and birth certificates, proof of residence and proof of no criminal record. To assure a quick and painless process, you will need a legal translation company that can complete error-free translations and certify and notarize the document(s) appropriately. College Diploma and Transcript Translations. There are many reasons why you may need your college diploma and transcripts translated. Perhaps you are planning to study abroad or you have studied abroad and are applying for a visa, admission to an institution of higher education, or a particular type of certification in a foreign country. You want to ensure that your documents will be treated with care, the original documents will be quickly mailed to you with tracking information, that your files will be translated accurately and professionally, and that the translations will resemble the originals. Medical Translations. The accurate translation of medical records, medical studies, and medical reports is critical. Leading pharmaceutical companies and device manufacturers trust the accuracy of our medical translators. 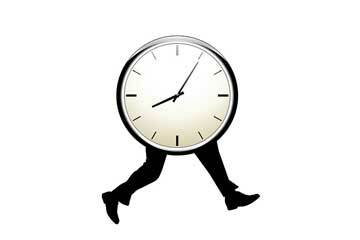 When you trust 24 Hour Translation Services, you can expect the best medical translation services available. After all, the world leading hospitals and device manufacturers turn to us regularly to complete their projects on time and within budget. Availability of Priority and Overnight Shipping of Original Documents. Overnight translation and shipping services are available for many types of translations. Contact us today for more details.